Stephen Sondheim and James Goldman’s 1971 musical finally gets the outing it deserves in Dominic Cooke’s blockbuster revival – with a 37-strong cast and full orchestra. Follies isn’t just “still here”, it’s thrilling, heartrending, spectacular. 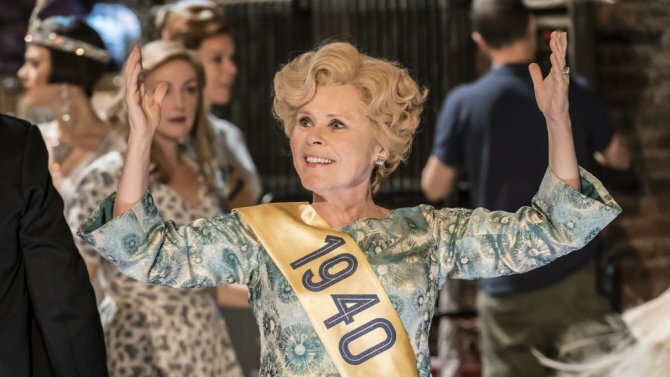 This entry was posted in Dance, Journalism, Theatre and tagged dominic cooke, follies, ham and high, imelda staunton, janie dee, london, musical, national theatre, review, stephen sondheim, west end. Bookmark the permalink.